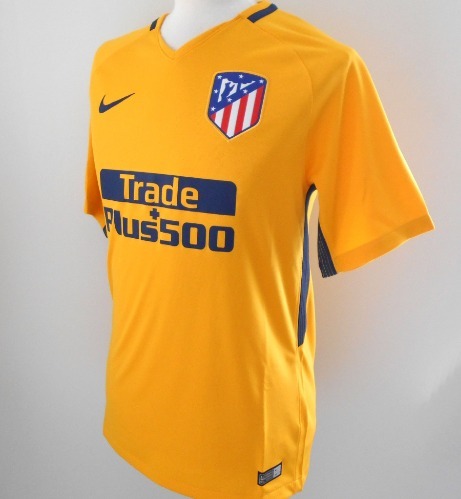 Official Nike Atletico Madrid yellow away jersey for the 2017-2018 season. New with tags in Nike packaging. - Woven club badge and nike logo. - Spanish flag inside neck. - Spanish La Liga woven sleeve patch. - Yellow with dark blue trim. - Nike authenticity patch with individual serial number. - Nike product code 847290-740. - New with tags in Nike packaging. - Adult men's size Large.